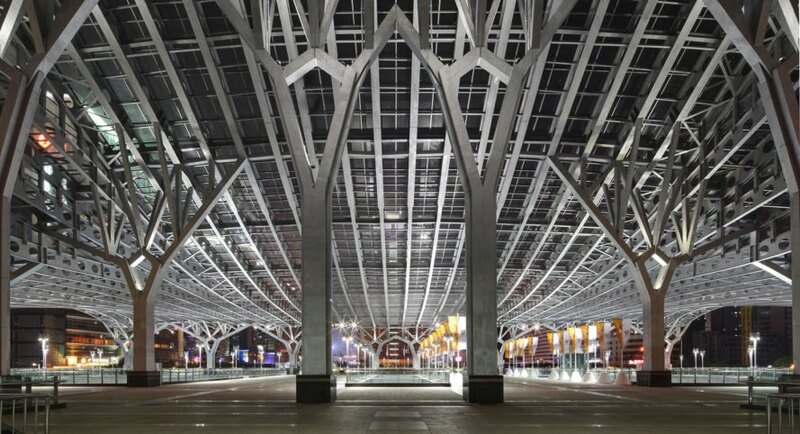 One of the biggest railway terminals in China recently received an extensive renovation that shelters the main entrance with a beautiful “canopy of light.” The Architectural design and Research Institute of SCUT renovated the landmark Guangzhou East Railway Station by installing artificial landscape elements, repairing the public spaces, and introducing a series of amenities that meet the requirements of a modern railway station. The station was constructed in the mid 1990s, and it suffered from poorly organized of circulation and ventilation routes. 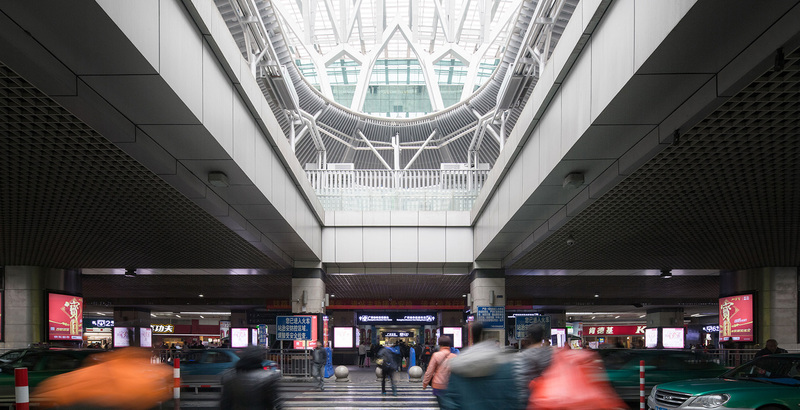 Guangzhou won the bid to host the 2010 Asian Games, which provided it with the opportunity to upgrade the station and convert it into the valuable public space it’s supposed to be. Related: Renovated Paris Rail Station Will House 1000 Start-Ups! The architects cut several openings into the floor to allow natural light to filter inside. 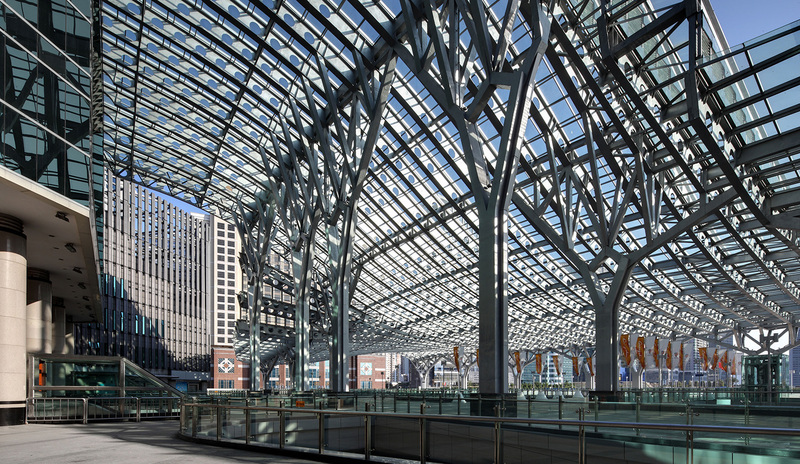 They moved the main entrance from the ground floor to the upper level and created a curved glass canopy that protects pedestrians from excessive sunlight and rain. All the metal elements are modular, and they were prefabricated in local factories and installed on site. 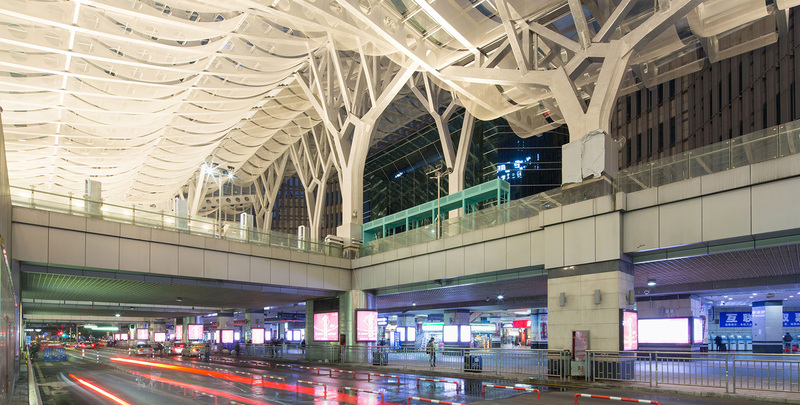 A recent renovation round, executed six years after the Asian Games, introduced smaller elements like a loop-shaped kiosk, translucent curtains beneath the roof and other public amenities. 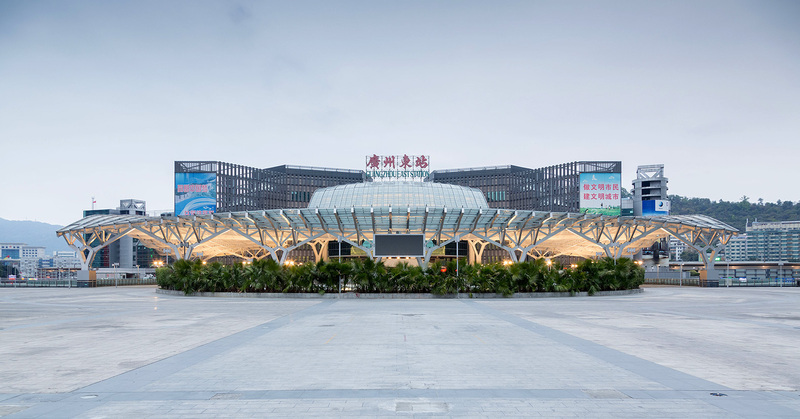 Guangzhou East Railway Station– one of the biggest railway terminals in China– has received an extensive makeover that introduced a beautiful "canopy of light" to the main entrance of the building and a series of amenities that meet the requirements of a modern railway station. Design firm Architectural design and Research Institute of SCUT renovated the landmark structure by introducing elements of artificial landscape and repairing the public spaces. The station, located at the north end of the central axis, was constructed in the mid 1990s, and has since suffered from poor organization of circulation and ventilation. 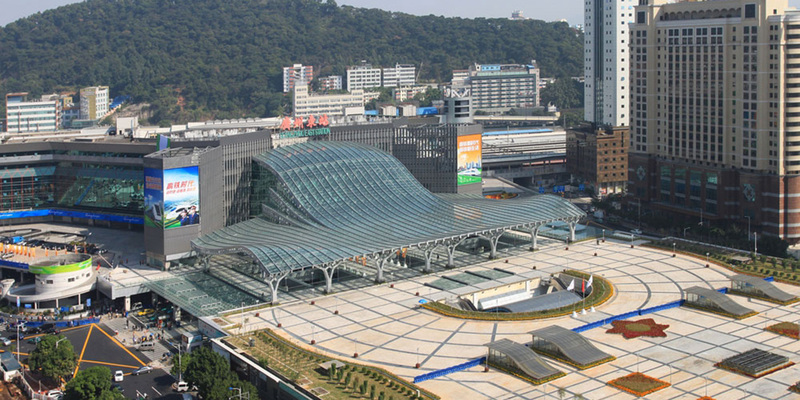 Thanks to winning the bid Asia Game 2010, Guangzhou received the opportunity to upgrade the station and convert it into a valuable public space it's supposed to be. The architects cut several openings on the floor to allow natural light to enter the interior. 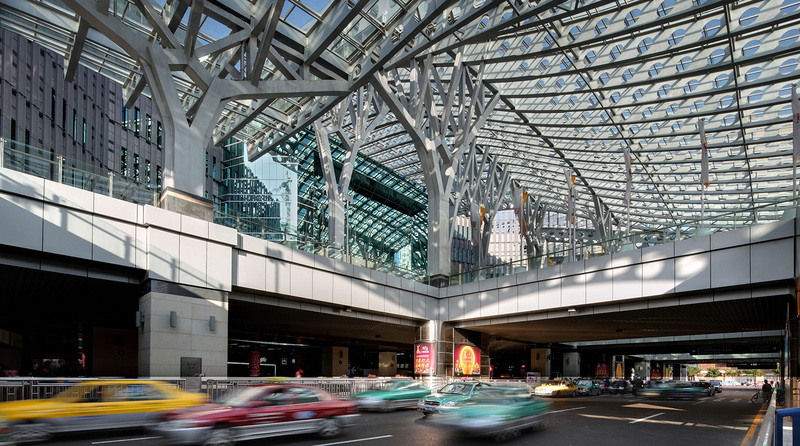 They moved the main entrance from the ground floor to the upper level and created a canopy– a curved glass roof that protects pedestrians from excessive sunlight and rain. All the metal elements are modular, prefabricated in local factories and installed on site. 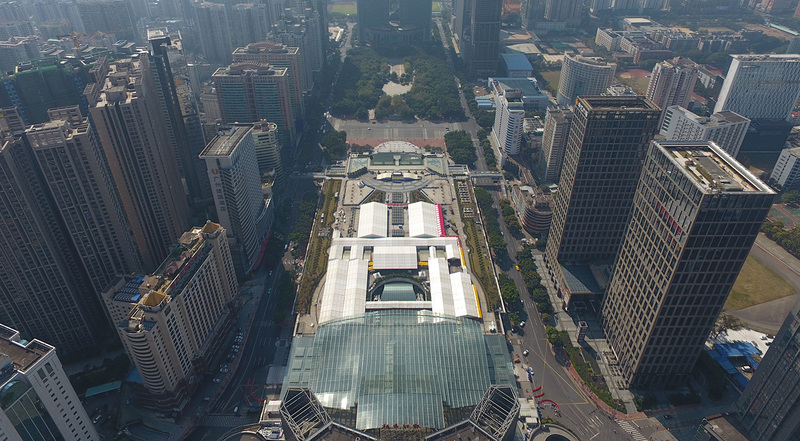 The new renovation round, executed six years after the Asian Games, introduced smaller elements like a loop-shaped kiosk, translucent curtains beneath the roof and other public amenities.